Managing director of JAMALCO, Austin Mooney, says construction of the bauxite/alumina company’s US$189-million gas-fired cogeneration power plant by New Fortress Energy (NFE) is on track for completion by February 2020. Speaking during a tour of JAMALCO’s mines and refinery operations in Halse Hall, Clarendon, last Thursday, Mooney disclosed that construction of the offshore gas pipeline has been completed, while work on the inland segment is under way. 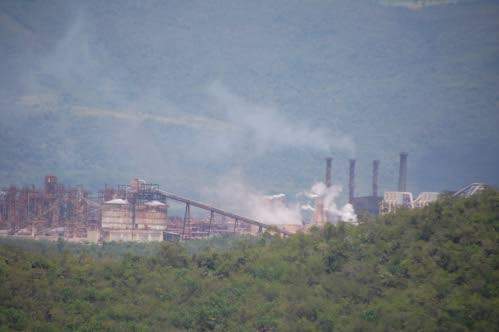 JAMALCO’s Director of Operations Richard Russell said the new power plant will serve two purposes. The company, headquartered in New York, USA, is transforming Jamaica’s energy sector as, in addition to its engagements at JAMALCO, NFE is converting the Jamaica Public Service (JPS) plant in Bogue, St James, from a diesel fuel to Liquefied Natural Gas-powered facility. The company is also spearheading development of the JPS’s 190-megawatt power plant in Old Harbour Bay, St Catherine.